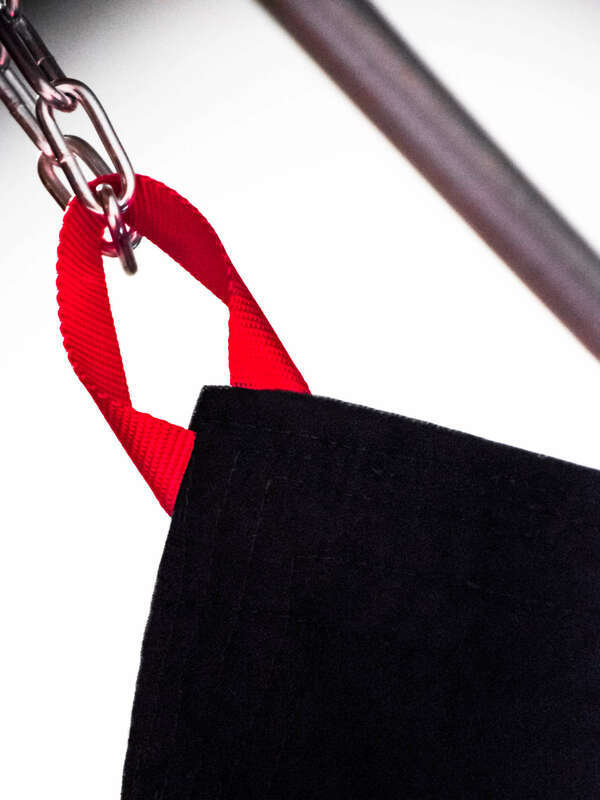 Our better-than-basic, Deluxe Canvas Sling, but with red nylon hanging loops instead of hardware. Slop it up, then toss it in the wash when you’re done! 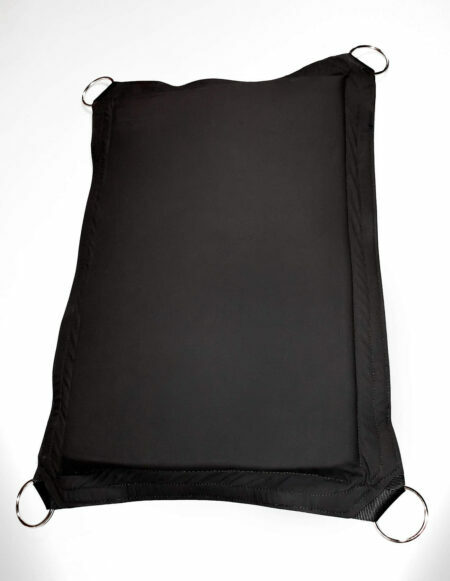 Built on a serious substructure—including two extra mid-sling crossbars—made of black nylon seat belt strapping. Covered with two layers of premium heavyweight canvas. 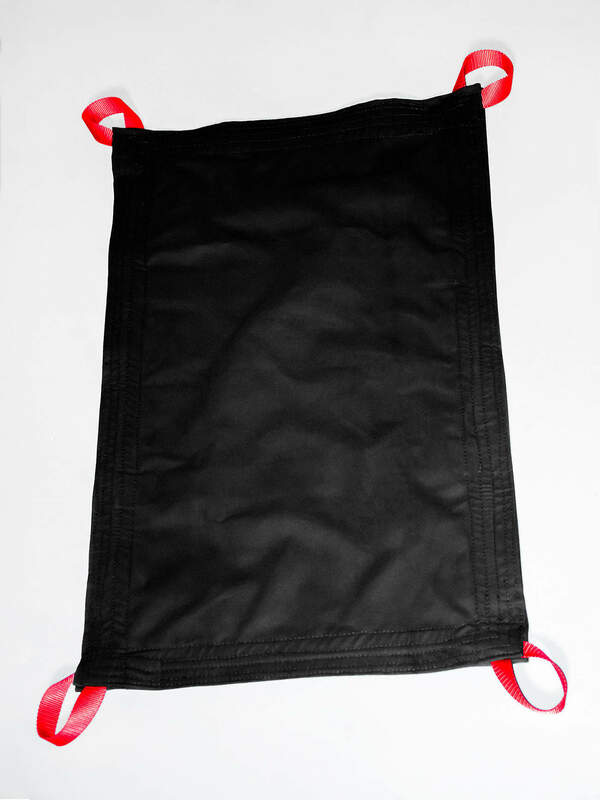 The result: A soft, durable, lightweight sling that’s virtually indestructible. • Premium Heavyweight 12 oz Black Cotton Duck Fabric. 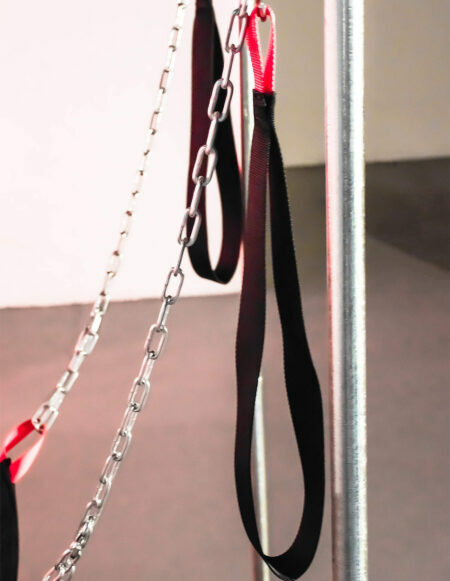 • Red Nylon Belt Strap Loops. • Five Rows of Perimeter Stitching. • 250 Pound Load Limit Per Corner. Dimensions: 22 x 37 inches. 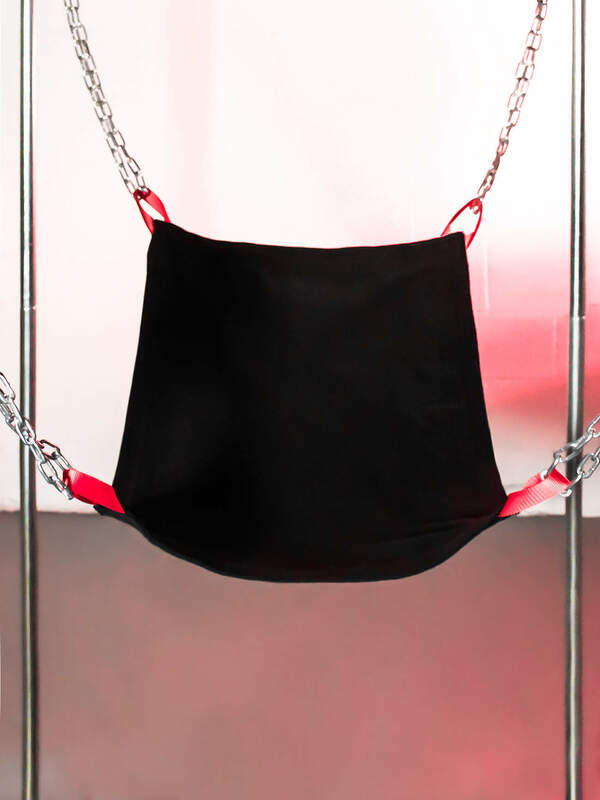 Pair it with our matching Nylon Stirrups with Red Loops.